Walking into a coffee shop, hotel, or airport and connecting to a wifi hotspot has become second nature. And with most people now carrying a mobile device while on the go, the use of these networks will only continue to increase. What’s more, homes, offices, schools, hospitals, and more all have their own wifi networks. 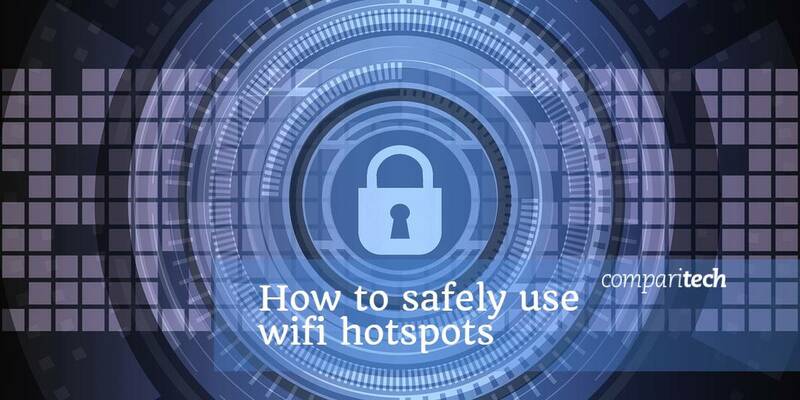 The popularity and nature of wifi hotspots makes them an ideal place for cybercriminals to lie in wait to access users’ data or devices. Even if you’re connecting at your place of work, the library, or a friend’s house, you really never know who could be monitoring the network. Plus, a wifi hotspot is relatively simple to set up, so although a network at somewhere like the mall may seem legitimate, it could actually be the work of a tech-savvy criminal. When you connect to a public network, you might be asked to log in, perhaps through a social media account or by providing your email address. It may seem like an inconvenience to have to give up those details, but this is usually a good sign that the network is secure. With a secure network, you’re less likely to encounter an attack. After all, to join the network, a criminal would have to give up some information themselves. It is possible for a hacker to set up a “fake” network to bait users. And they could add a login step to make it appear more legitimate. However, this latter step would be quite a bit of trouble to go to, so isn’t all that likely. As well as looking out for secure networks, it’s always a good idea to stick to using secure websites. Sites marked HTTPS or with a padlock symbol hold a Secure Sockets Layer (SSL) certificate and are considered secure. If a site doesn’t have an SSL certificate, this doesn’t mean it’s not secure, but you should tread with more caution. The real PayPal website has a padlock symbol and is marked HTTPS. Fake websites may be used in phishing scams to trick users into entering personal information. Some things to look out for are a sitemap, contact information, and an about page. Fraudulent sites are less likely to have these features. Also, check the URL for any deviations from the site name, even a minor spelling difference. A Virtual Private Network (VPN) is recommended for anyone connected to the internet, not just those who use wifi hotspots. A VPN encrypts all of your traffic, which means it can’t be viewed by anyone monitoring the network. This includes your internet service provider, network administer, government agency, and cybercriminals. If you can’t find a secure wifi connection but must connect, then using a VPN is crucial. Some providers such as NordVPN and CyberGhost even come with automatic wifi protection so you don’t have to remember to connect to the VPN before connecting to the wifi hotspot. VPNs are inexpensive, easy to install, and come with perks aside from encryption. For example, they can mask your IP address to make it appear that you’re somewhere you’re not. This location spoofing means you can unblock geo-restricted content such as that provided by popular streaming platforms like Netflix. Many devices automatically connect to a detected wifi hotspot. This is especially common for familiar networks — one that the device has connected to before. Unless you need the wifi connection, there’s no reason for your device to connect. Most mobile devices have a simple toggle in the settings where you can turn off wifi. For laptops, you’ll have to disable the wifi adapter. It might seem like a bit of a pain, but if it helps you avoid inadvertently connecting to an unsecure network, then surely it’s worth it. For Windows, you can click the wifi icon in the system tray. This will pull up your connections. In the bottom left-hand corner of the popup, click Wi-Fi. This will turn the adapter off. You can turn it back on using the same process. For a Mac, click the wifi icon in the menu bar and select Turn Wi-Fi off. In the same vein, many devices will enable sharing settings such that users on the same network can automatically access various applications on your device. It’s a good idea to stay on top of these settings and ensure your data remains private. One thing that’s preached a lot is to avoid sending any sensitive information over a public wifi connection. If you’re abroad and wifi is the only connection you have for things like banking and online shopping, then yes, it may be unavoidable. However, if you have the chance to use a cellular connection, it’s worth hopping off wifi for a few minutes, at least to conduct those sensitive activities. It sounds simple enough, but according to an Infosecurity Magazine survey, 43% of people admit to shopping online over a public wifi connection. Along the same lines, just as you shouldn’t send information over a wifi connection, you should avoid connecting a device that holds sensitive information. After all, given the chance, hackers could gain remote access to your entire device. This means everything on there could be exposed. A better option would be to store that information on a separate device or within a secure cloud service. Just make sure you encrypt the files before uploading them to the cloud. And if the files must remain on the device, encryption is a must in this instance too. This will ensure that even if someone does get their hands on your data, it will be unreadable. Whether you’re connecting to a hotspot or not, every device should be secured with solid antivirus software. It can help detect various types of malware and protect against them. On that note, you should also enable your device’s firewall. While a firewall doesn’t offer as much protection as antivirus, it can still act as a line of defense and could be enough to ward off certain attacks. Bear in mind, if your antivirus software has a firewall, you don’t need to use the one on your device. It’s not recommended to have two firewalls enabled at one time. It’s easy to get a bit frustrated when yet another software update rolls out and you lose the use of your device for a precious 20 minutes while the update takes place. But one of the primary reasons for updates is to patch security holes. Keeping your software up-to-date means there’s less chance a hacker can exploit a vulnerability and access your data. That being said, it’s best to save updates for when you’re connected to your home or office network or another network your trust. Just in case any of your data is exposed, you can reduce the risk of becoming a victim to certain attacks by making sure you have strong passwords. For example, if your username is revealed, a brute force attack could be used to guess your password for, say, an online banking account. With a very strong password, you reduce the chances of such an attack succeeding. 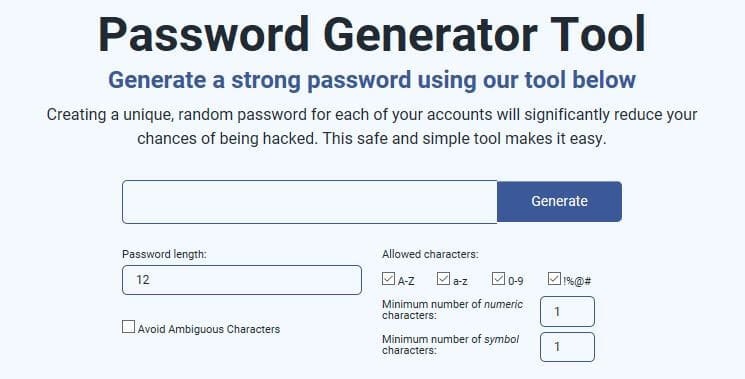 If you’re having trouble coming up with strong passwords, our password generator tool can help. Aside from always using strong passwords, never use the same one across multiple accounts. If a password is exposed, giving hackers access to one account is bad enough. Allowing them access to multiple accounts could be catastrophic. Educating yourself about the dangers associated with hotspots can be a huge step in securing your information. Stay up-to-date with common scams so you know what to look out for. Popular wifi network attacks that we’ve covered extensively on our blog include man-in-the-middle attacks, packet sniffing, and phishing scams. Have discussions with friends and family about the dangers of wifi hotspots. You could save someone from being scammed and might learn even more about the topic yourself. Connecting to a wifi hotspot can be convenient and at times necessary. But it’s always going to come with some risk. Malicious hackers are around every digital corner, waiting for the next unsuspecting victim to drop their guard. Thankfully, by being aware of the hidden dangers and taking steps to secure your information, you can connect with a little extra peace of mind. Image credit: “Cyber Security” by Pete Linforth Gino Crescoli licensed under CC BY 2.0.